What is it about white-tailed deer (Odocoileus virginiana) hunting that makes it an almost universally accepted sport? Most people who would never kill anything themselves and most people who work or volunteer in conservation are all like, yes, we support deer hunting. What is up with that? We’ve all heard the usual stories of how it is conducted for the challenge, how it is a way to get close to nature, that it puts meat in the freezer, or that it is a part of a long rural or family tradition. Almost every deer hunter will tell you that he loves and honors deer, yet that love and honor does not stop him from killing them. Only very, very rarely do you meet a hunter who tells the honest truth: that he kills for the thrill of killing. As a preserves manager, I’ve managed hunters for over 20 years. It’s not my favorite part of the work but I work for organizations that own lots of forests and farms and most of their boards allow hunting. Most of these board members have never thought about what that truly means but they’re typically all for it and it’s on to the next order of business. This lack of deliberation on this terribly important subject drives me crazy. But back to hunters. When I am directed to manage hunters, I make sure that I have at least a tangentially personal relationship with each hunter because I need to know who exactly is on our properties. At the very least, I want to make sure that they are “ethical” hunters. I use the term “ethical” to contrast with the all-too-common “slob” hunters that slay everything in sight. Slob hunters are also the ones who show up on opening day, walk two hundred yards into the woods, throw out some bait, and wait for Bambi to arrive so that they can kill her and tell their big-game hunter story for the next year. Managing hunters is generally upsetting to me because I understand the gory details. I know what it means when the silence of a crisp autumn morning is shattered by the sound of a gunshot. I understand that it means that another wild creature’s life has been extinguished by a human, or worse, that an agonizing, otherworldly pain has been inflicted on an animal that may face a long, slow, cold death. This is what I think of when I deliberate about hunting because it’s not some intangible reality. It’s real bone-shattering lungs-filling-with-blood suffocation death-is-here reality. I could pass this task on to others in my land trusts but I feel that as a manager I need to take responsibility and ensure that the trust’s wishes are properly executed in this all-too-important realm of land management. Executed. Such a fitting term. This is such a painful part of the job for someone whose life’s work is dedicated to protecting wildlife and their habitats. I have to train my mind to not overreact whenever I have to deal with hunters, or discuss the topic of hunting with board members. I find this to be one of my greater interpersonal challenges in conservation work. I’m lucky that I have board presidents who understand me. Almost every one of the scores of hunters to whom I have given permits is what I would otherwise call a good person. They are responsible afield and in their own lives. During my two decades of hunter management, I’ve only had maybe 3 or 4 hunters who betrayed the trusts. There was one who shot a coyote and another who hunted over feed (big time). I’ve also had to defend hunters from preserve neighbors who, because they didn’t like hunting or didn’t want it to happen near them, lied about what the hunters were doing. Hunters who trespass onto land trust properties – poachers – are a whole different story. I have had many incidents where hunters trespass or, on abutting lands, set up their stands right on or near the boundaries, including two cases where they deliberately cut shooting lanes into a preserve. 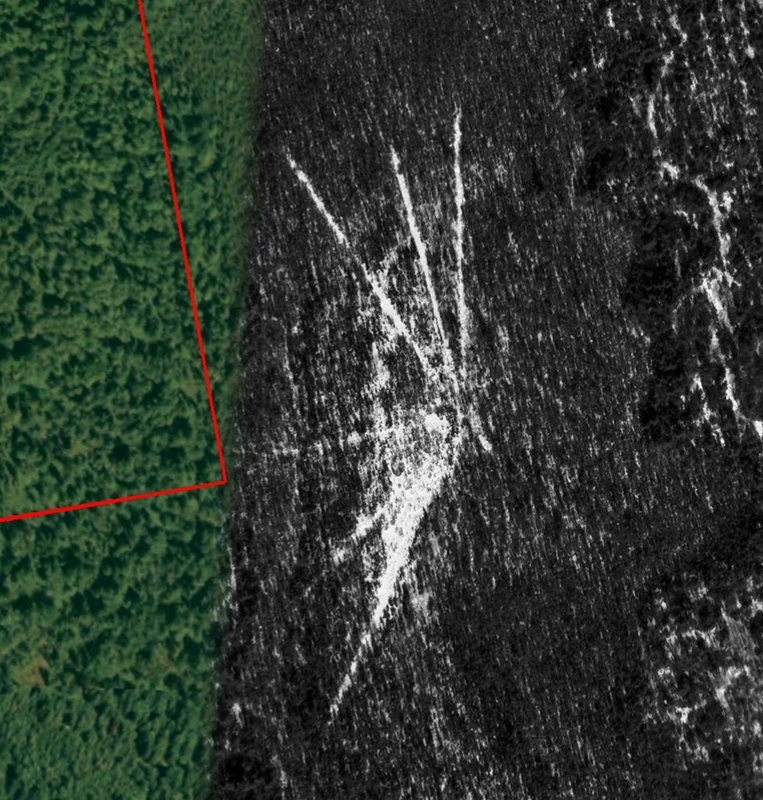 On one of the very large preserves where I’ve worked in Maine, a hunter illegally came on the land and cut several 800-foot lanes that we only discovered through satellite photographic interpretation. Of course, these are some of the worst of the hunters. In the case of the Maine shooting-lane guy, he had literally thousands of acres of state “wildlife refuges” in the immediate vicinity where he could have killed to his heart’s content. But instead, he trespassed into a preserve (where hunting was allowed by permit) and not only illegally hunted but set himself up with killing lanes, felling probably well over 100 mature trees in the process. This guy was apparently into rampantly spilling both deer blood and chlorophyll. I’ll wager that he was of the type that kills everything in sight, be it a deer, a squirrel, a bobcat, or a songbird. There is a disease in the minds of many rural men in New England that goes well beyond killing deer, but that’s a story for another time, to be written by someone else. So anyway, I wrestle constantly with the idea of land trusts allowing the killing of deer on their lands. It exceeds the shock of dealing with land trusts that log their lands. Somehow, in the minds of the governors of these trusts, they think that they have the right to kill the living things that they are entrusted to protect, or to commission others to do so. In many cases, it’s because they are weekenders and they don’t want to disrupt rural traditions. I get that to a certain point. In one case, a trust allows hunting by a specific group that hunted the land for decades before we owned it. I really understand that. But in other cases, some trusts go out of their way to facilitate resource extraction. It’s as if they are trying to buy friends with the trust’s capital, both natural and monetary. Such people either need an inner paradigm shift or they need to go away. Nature is not theirs to serve up to make their lives easier or to buy friendships or whatever. How beautiful. Let’s kill it. And then there is one of the biggest crimes in land conservation: hunting in so-called “wildlife sanctuaries”. I mean, like what is that all about? State agencies and the federal government routinely get away with calling killing fields “wildlife sanctuaries”. It’s almost Orwellian. And the public just nods their assent. Also Orwellian. And it’s not restricted to just government-owned properties. Here in Northwestern Connecticut, Audubon has “wildlife refuges” where they permit deer hunting (and logging, too). That makes absolutely no sense to me. Webster defines refuge as a condition of being safe or sheltered from pursuit, danger, or trouble. So no, you can’t use that term and get away with it. Sidebar: I remember calling Connecticut Audubon to talk with one of their biologists about a log job that I discovered on one of their “sanctuaries”. I asked him who was going to benefit and he said interior forest birds. I said that interior species need intact, undisturbed habitat (based on the kind of science that kids learn in Ecology 110) and that perforating the canopy and removing the more mature trees was actually degrading their habitat, leading to population declines for many reasons including brood parasitism. After going round and round for about 30 minutes, it was clear to me that his motivation was to extract the natural capital out of that property and that his completely wrong science was nothing more than a weak cover story for what he was doing. I see such characters held in high regard by the conservation community and all I can do is sigh. I do know how the state and federal agencies get away with permitting deer hunting in sanctuaries. It’s because the agencies themselves are filled with hunters and the “scientists” that they hire are both hunters and usually graduates of land-grant colleges where the programs are hyperfocused on resource extraction. Going to one of the CT DEEP offices is like going to a UCONN alumni meeting. And the field offices are always filled with hunters and trappers (and especially trappers, as their particularly heinous bloodlust only lives on because DEEP staff perpetuates it). So it’s no wonder that DEEP is all about killing in a “sanctuary”. The reality is that there is little scientific basis for killing white tails. 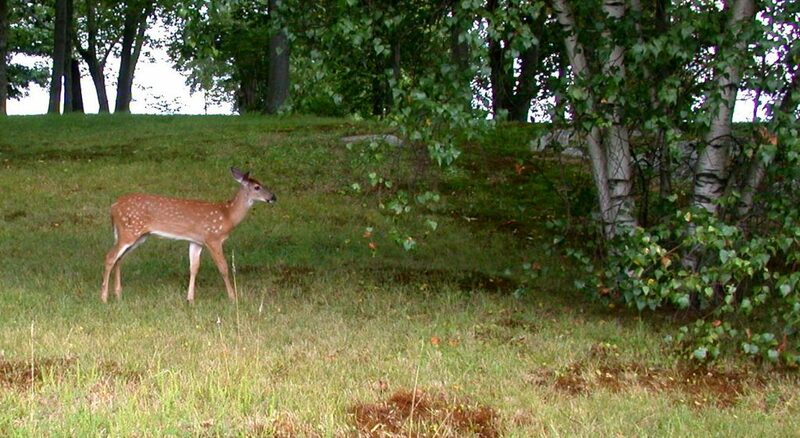 In some areas, such as Connecticut’s Gold Coast (Fairfield County/Greenwich), the deer population has relatively high densities. This is because people, particularly the wealthy, have built their expensive homes in forestland and on farmland, creating and expanding open and edge habitat, and populating that land with horticultural material that is of particular interest to browsing deer. They are also the first to complain and demand the killing of the wildlife that they, in essence, created. They also love to perpetuate the myth that deer are the primary vector of Lyme Disease. They created the problem and now they’re all like, “kill ’em” as long as somebody else is doing the killing. Ain’t that special? So back to the idea of loving deer and then killing them. It is one thing to engage in subsistence hunting. But to kill for sport? 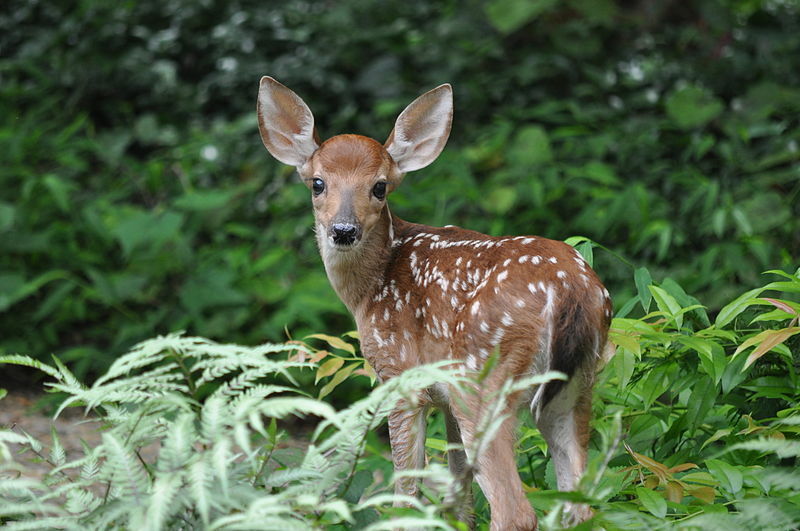 Can you think of a more fitting archetype of gentle nature in forest or field than a doe? 55 million years of evolution (reaching back to the early Eocene) has created the animal that we see today, a magnificent being that also serves an important role in its ecosystems. Furthermore, these are highly sentient beings that exhibit high-level behaviors like intensive family unit behaviors and play. 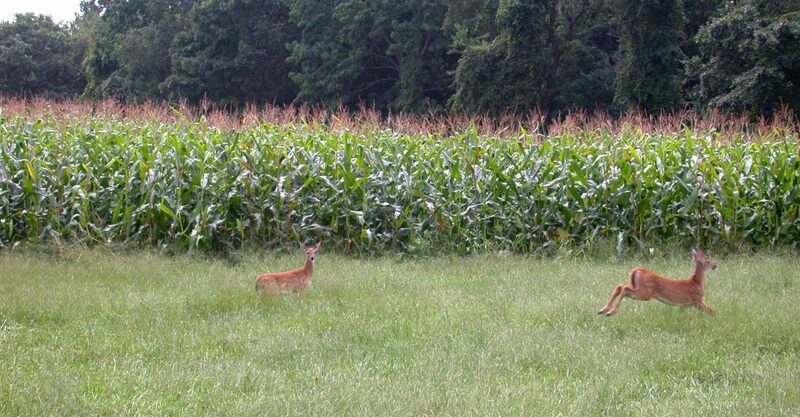 Have you ever watched a doe with her fawn? It’s hard to imagine that there isn’t a spirit of love in her. It’s also a tough life and they are all too often living on the edge, with native dangers present at every turn. Why are we complicating their existence by trying to kill them? This is their land. Farmers need to give 10% of their crops back to nature. You love deer? Go out and take their picture. Or else admit that you love killing for killing’s sake. Just say it. You’re a killer. In all of my years of hunter management, there is just one hunter who has said that to me. “Harry, I’m a killer.” He, more than anyone else, helped me understand that killing is the reason for the sport. It’s all about the killing, it’s all about the moment when the prey is in the scope and the trigger pressure is applied. Everything else is secondary. I respect that hunter far more than hunters who tell me that they engage with deer because they love and honor them. Two other hunters that I learned to respect are a 30+ year forest manager and a second-generation game warden, both in Northwestern Connecticut, who have over the years shown a high level of sensitivity and selectivity for wildlife and a fierce passion to defend wildlife. Even though they are hunters, both have gone out of their way to defend deer and other wildlife for their entire lives. I don’t believe that they kill just for the sake of killing, not at all. So out of the many, many hunters that I’ve dealt with, these three and a few others have earned my respect. The rest, they kill to kill. Top image credit:By Clay Heaton [CC BY-SA 3.0 (https://creativecommons.org/licenses/by-sa/3.0)], from Wikimedia Commons. Last two images and map by the author and (c) 2018.